If you get the impression that FICO might use your Web posts to dock your credit scores, you're not alone. And it's a big deal: Consumer credit reports can be used not just for loan and credit card decisions, but also hiring, insurance and housing. That cohort is large. The Consumer Financial Protection Bureau estimates that about 26 million Americans have no credit history and so are invisible to the system. Another 19 million have insufficient or outdated history to get a commercially available credit score. But like FICO, TransUnion and Experian are also experimenting with new kinds of data elements that may help assess people whose existing credit history isn't enough for a traditional score. TransUnion calls its new type of assessment CreditVision Link, and according to spokesman David Blumberg, it includes property, tax and deed records, checking or debit account and payday lending information, and other sources. "The score includes alternative databases of over 3 billion non-traditional data records collected on over 260 million adult Americans," Blumberg says in an email. "These alternative data sources have proven to accurately score more than 90% of applicants who otherwise would be returned as no-hit or thin-file by traditional models." "We are constantly looking at ways that we can expand the breadth of our credit report and expand ways that consumers can build credit. An example is rental data which Experian has been adding to credit reports for several years allowing millions of consumers the opportunity to build and rebuild credit by paying their rent on time. 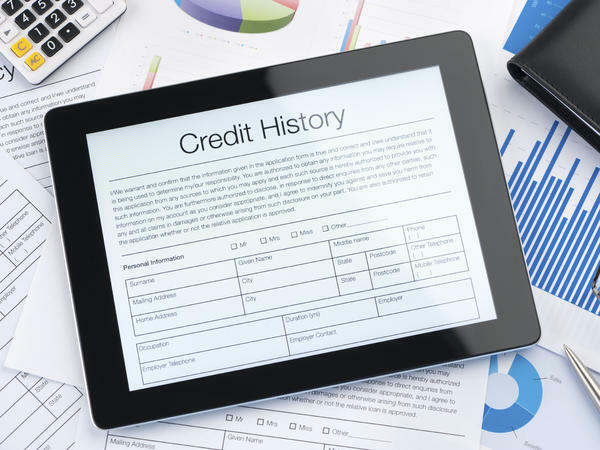 Telecommunications and utility data also holds great promise for credit building, and including this type of data on credit reports is slowly being adopted by those industries." OK, but what if FICO, or Experian, or Equifax, or TransUnion, or their smaller rivals do decide to take social media data into account in building your file, and not just to prevent fraud? "But if there's information that someone either doesn't know is going to be put out there or hasn't been told if they enter information here, it's going to be shared with thousands if not millions of people, then that can become a problem." American financier J.P. Morgan was once asked by Congress what makes a person creditworthy. Is it money or property? And he said the first thing is character before money or anything else. In the modern world, a simple Google or Facebook search can give you a glimpse of someone's life and character. So should we worry that our creditworthiness might depend on what we say online? NPR's Alina Selyukh has dug into the question. She joins us to explain. Welcome. WERTHEIMER: So can a tweet about losing a job or a post of crazy party photos hurt a person's credit score? SELYUKH: Not at this point. The Financial Times recently ran a story quoting CEO William Lansing of FICO, the credit scoring company. And he suggested that Facebook posts can have some value in deciding if someone's creditworthy. And that sort of launched a slew of stories raising red flags about social media and credit scoring. And I followed up, and I talked to FICO and the three big credit rating agencies, which are TransUnion, Equifax and Experian. And all of them are saying definitively they're not using social media for consumer credit reporting right now. And they're saying they're not even using it to help confirm people's identities. And why does it matter? Well, credit is basically your way into the economy. You've got to have it if you want to buy a house or a car, sometimes even rent a home or get a job. WERTHEIMER: But still, there are all these new kinds of data that are floating around out there about you. One would imagine that people who are interested in whether you were a responsible person might build a portrait of you sort of. Is that happening? SELYUKH: So when it comes to the formal credit reporting industry, they are being very careful. They're saying their main purpose is to start including all of these millions of people who might not have credit history at all or who don't have enough credit history to get a formal score. And for that purpose, they're starting to branch out into new kinds of information to start to include these folks. So for instance, if you don't have a credit score but you've been a responsible adult and paying your bills and paying your rent, that kind of information can be counted toward a creditworthiness report that these companies would provide. And then there's of course the question of landlords or employers directly looking at the social media themselves. Well, that does not fall into the credit reporting industry's category. But it does get regulated by other antidiscrimination laws, although the line there is a little blurry. WERTHEIMER: So let's say something that you posted online does end up in a big formal credit report. Now, there you can do something about it. SELYUKH: Right. There is a law called Fair Credit Reporting Act. And it regulates everything that the credit reporting industry does. And the big thing about that law is you have the right to know when something is hurting you. So if a bank or a landlord or employer goes and looks at your credit score produced by this industry, they have to tell you where they got the score and what exactly in that report is working against you. And also, the companies building your profiles have to make sure that everything in your profile is accurate and verifiable, which means if you request to review your profile and then find that some information is wrong or amiss, you can always dispute it. And the companies do have to investigate. WERTHEIMER: So I guess the answer to the question, does social media and whatnot affect your credit score, the answer is no and yes. SELYUKH: Exactly, as with so many things in life. WERTHEIMER: NPR's Alina Selyukh, thank you very much. SELYUKH: Thanks for having me. Transcript provided by NPR, Copyright NPR.